To the edge of the world! 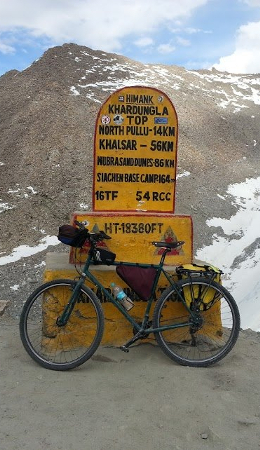 A long-distance cycling is a unique way to discover the world. 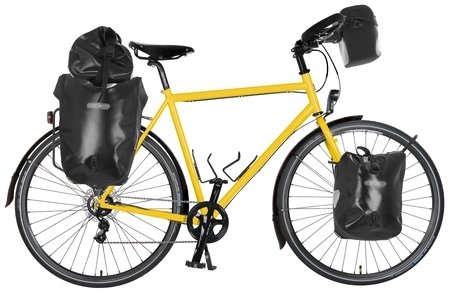 Set out for a journey in the saddle of Kolos expedition bike and explore the world and yourself. 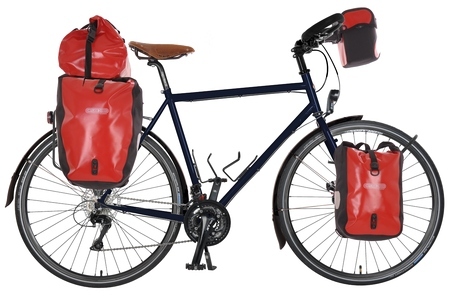 The frame height, the colour, gear shifting and the full equipment for the strenuous bicycle touring – all you can freely choose with a playful form of a configurator. Reliability and durability. 3-year warranty. Free warranty service. 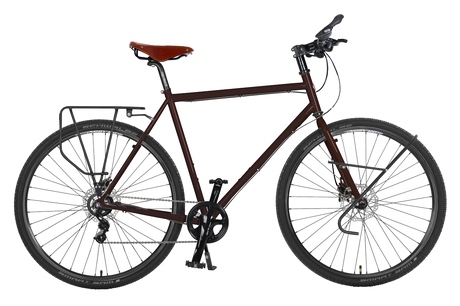 We will build you a bike you can always rely on. We provide an extended warranty and take full care of your bike during the warranty and post-warranty service. We take care of you, so you can ride! Kolos No.4 EX - WHAT CAN YOU FIND IN THE BASIC CONFIGURATION? 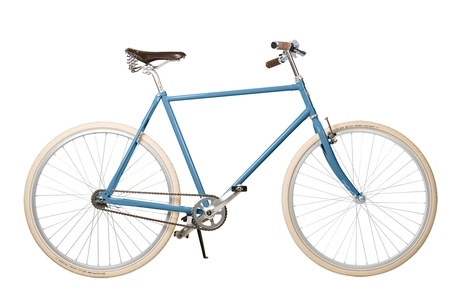 The frame is made from CrMo chrom-molybden steel with butted tubes. Frame tubes size: Top tube - 0,9/0,6/0,9 mm, down and seat tube 1,2/0,9/1,2 mm. Headtube 1 1,8“, seatpost diameter 27,2 mm. CrMo fork. Cables fully covered with bowden, recessed nuts for a bottle wire basket, rear and front Low Rider rack, mudguard fittings. Cranks: Shimano Deore LX FC-T671, 170MM HOLLOWTECH 2, 44X32X24T. 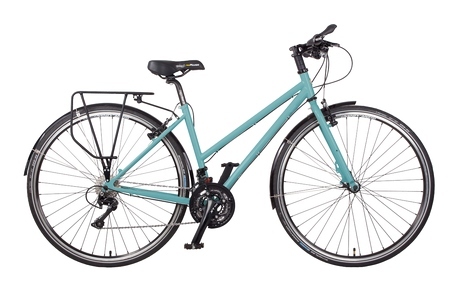 Dual aluminium rims 28“ riveted, designed for disc brake, stainless steel spokes, black 2 mm, Schwalbe Marathon Tour Reflex 37-622 (28 x 1.40, 700x35C) tyres with puncture protection. 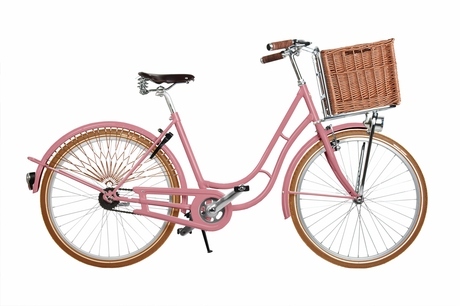 Kolos No.4 bikes will not disappoint you in any form. 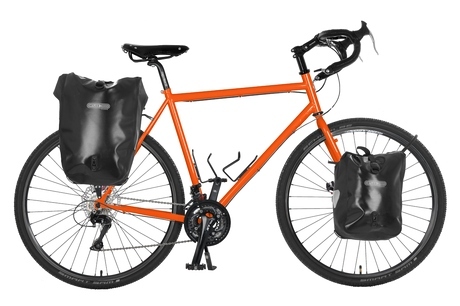 Whether a cross bike, or a more equipped trekking bike or a fully assembled expedition bike. All our models will be a reliable support on your journeys. Kolos No. 4 bikes are sold with an extended 3-year warranty. 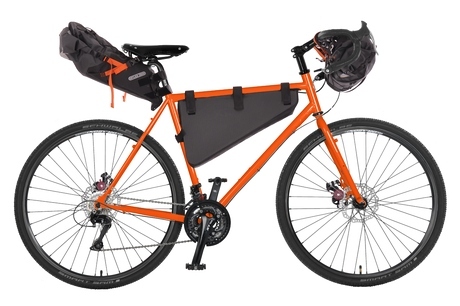 Kolos No.4 expedition bike meets the conditions for use for long-distance cycling, the expeditions to the edge of the world with the full equipment for a long-term stay on the way. Zbyněk Michal from the ZigZagCycling project put the frame set Kolos to a great load test on the road from Ústí nad Labem to Japan covering 19,000 kilometres. The bike Kolos No.4 was also a reliable tool for the 7,000 km long Silk Road and many other expeditions across Europe. The core is the light yet robust frame from a chrome-molybdenum steel (CrMo) which comes just for your figure. It's sturdy, flexible and equipped with all the necessary screw fittings for installation of all equipment. 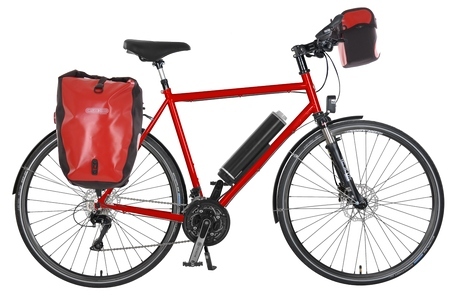 We offer the expedition bike Kolos No.4 in a recommended configuration, as it appeals to us. However, this doesn’t mean that its design is definitive. 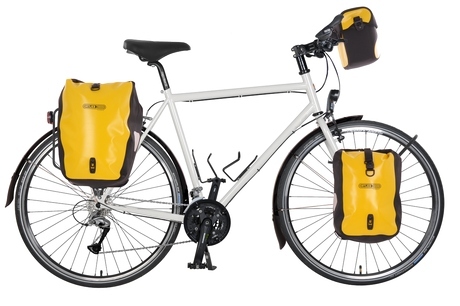 Choose the gear shifting according to the intended use, supplement the bike with top-class Ortlieb bags or replace the handlebars for those which would suit you more. 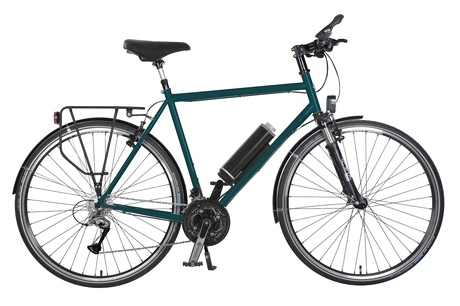 If you take a close look at the Configurator, you will see that the bike can be modified in a fundamental way using options from the wide range of fittings towards the lighter gravel bike and the robust electric bike with a unique Pendix drive and Alfine gear shifting. It depends on the adventure, which you want to experience with your Kolos and on your financial budget. If you don't find exactly what you need in our Configurator, just contact us and we will prepare an individual quotation after we verify the compatibility, availability and price of the parts preferred. The same applies also to the installation of other nuts countersunk in the frame, if 2 screw fittings for the beverage baskets are not enough. The result will always be a completely individual product – the bike that's been designed for you and your adventures only.